The London Borough of Hackney in Inner London has recently been depicted as the Greenest borough in inner London. Hackney has over 60 parks and open spaces, 21 of which have been awarded Green flags from Keep Britain Tidy, not a bad statistic, but better still is that 90% of the residents of Hackney live within a short walk of an open space. Hackney marshes for example boasts 340 acres of protected common land. 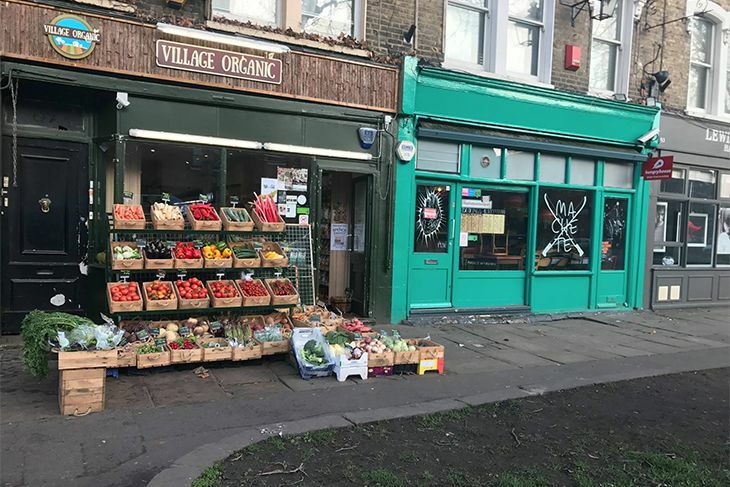 So, it comes as no surprise to find that Hackney also has a large number of organic cafes, stores, health shops and beauty stores. 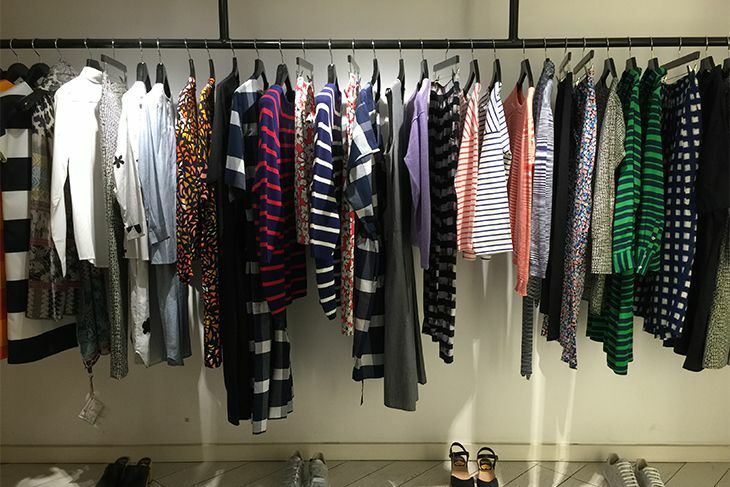 69b Boutique is a niche womenswear boutique that showcases contemporary and directional sustainable fashion. Established in March 2011, 69b brings customers the latest in worldwide sustainable fashion from both new and established forward thinking designers and brands. The boutique is situated on Broadway Market, in the heart of Hackney. An area tipped by Italian Vogue as ‘the hippest place in the world’. 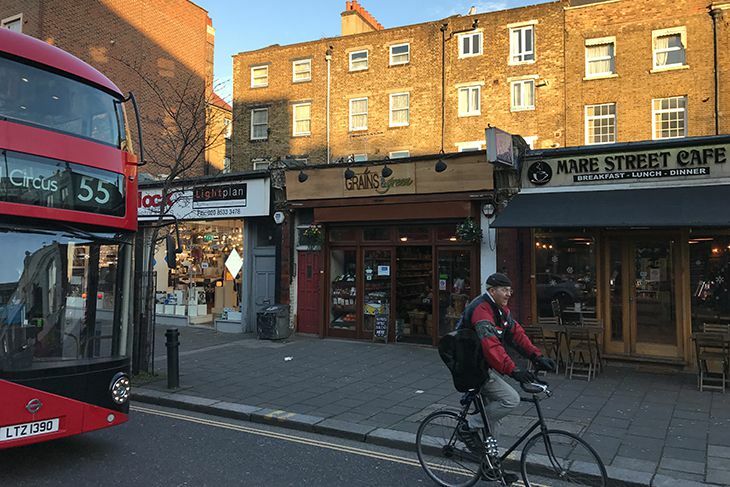 With its cafes, restaurants, bars, retro furniture stores, bookshops and a weekly street market on Saturday attracting thousands of visitors, Broadway Market has become one of London’s coolest destinations. Before opening 69b, fashion director Merryn Leslie, worked as a stylist for numerous publications, including Vogue, Harper’s Bazaar, Exit and i-D. Merryn’s styling background gives 69b a unique edge that sets it apart from other ‘eco’ retailers. A sustainable fashion label situated in the Thomas Briggs Building in Southgate Road, Hackney, London. The award-winning Goodone create original, stylish garments with upcycled materials and reclaimed textiles and fabric off-cuts from the industry. Their environmentally sustainable clothing has proved to be a massive success with 'followers of fashion' and it has already sparked a great deal of interest from conventional clothing manufacturers and designers in recent years. Do you live in / or visit Hackney? 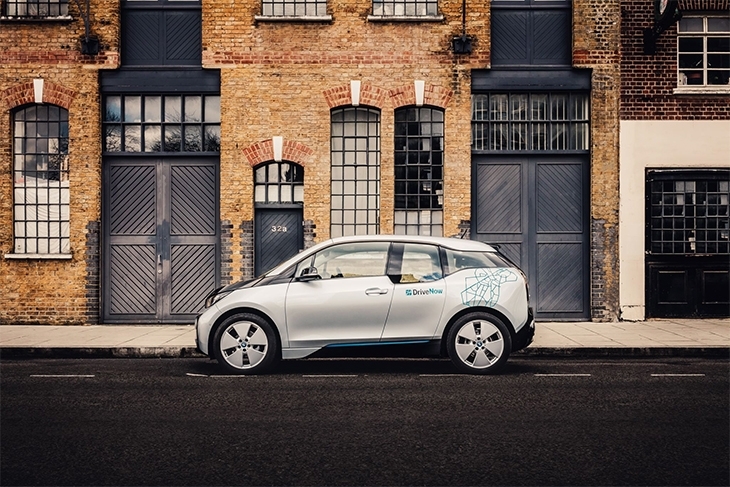 We have organized with our friends at Drivenow the eco - friendly and fun way to drive around Hackney that all My Organic Hunter fans exclusively get free registration and £10 driving credit. We use Drivenow most days to find and re-visit all the fabulous organic & eco friendly places in the borough, its so much fun try it out! Authentic Russian Banya in Hackney, London. Traditional steam sauna. Honest and effective organic Spa and Wellness treatments. Rest lounge with bar and Russian delicacies. Unlike conventional sauna’s, a Russian Banya generates high levels of steam as water is splashed onto a tonne of cast iron heated to 700°C inside an authentic brick furnace. Treatments are authentic and prepared onsite using organic ingredients. 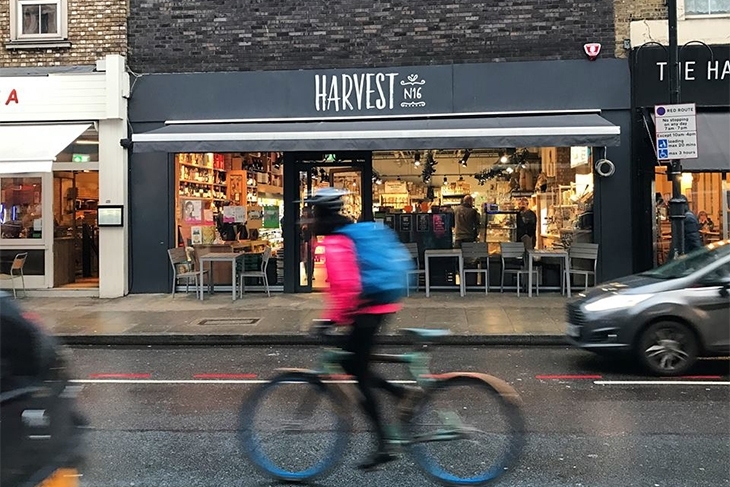 New to Mare Street, Hackney in 2016 is Grains & Green, a Health Food Store & Café packed with organic, natural, eco-friendly and Fairtrade loveliness. 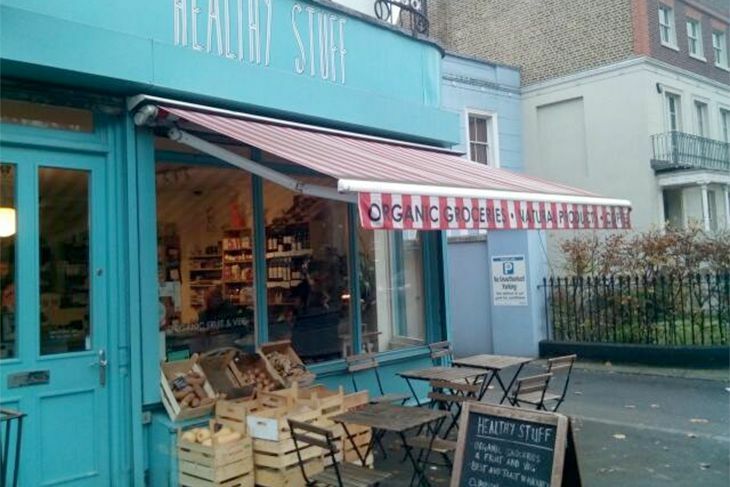 The store has an excellent variety of local organic food, fresh fruit & veg, organic, natural & Fairtrade food products with vegetarian, vegan & ‘free-from’ lines; cleaning products, personal care products, organic cosmetics and a selection of eco wear, environmentally-friendly gifts and even a hot nuts counter. The small café offers delicious, healthy fresh food with hot & cold options, juices & smoothies and amazing coffee. 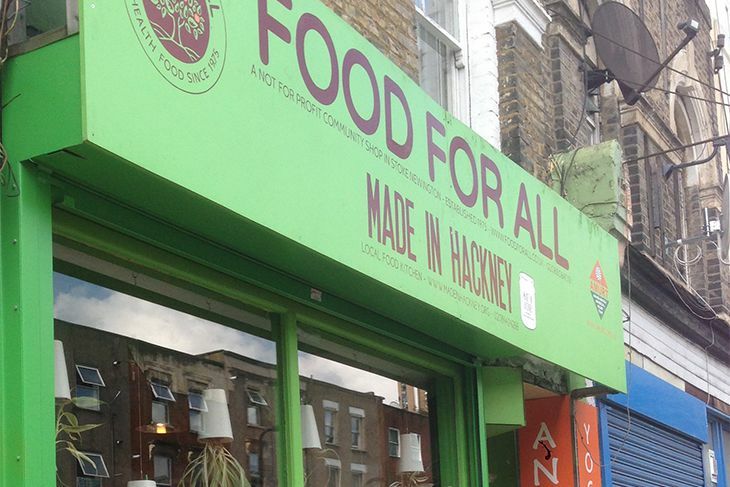 A local independent store & café located at Lower Clapton Road, Hackney, opposite Clapton Pond. The shop sells fresh produce; fruit, veg, meat, fish; everyday grocery products, and some of the more unusual food products from around the world. There is a lovely selection of homemade pies & pastries, freshly baked bread, as well as gluten-free, vegetarian & vegan products. There is also a range of natural & eco-friendly personal care & household products and a nice selection of beers, wines & spirits. 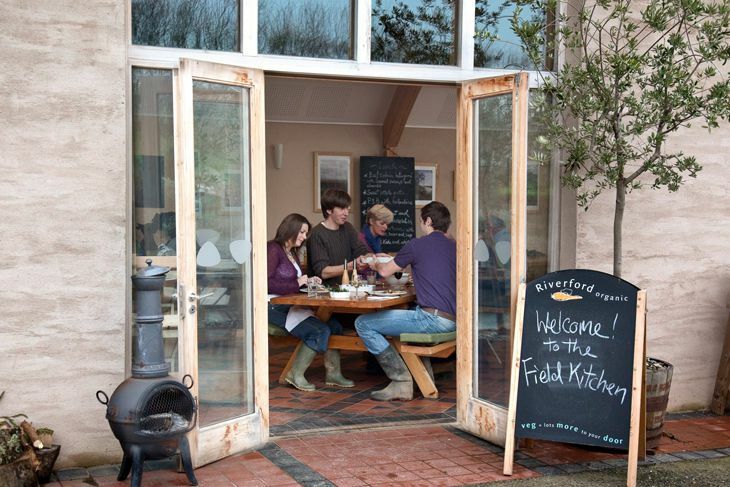 At the café, a variety of dishes is on offer, from tasty healthy soups & salads to delicious mains & desserts, all are made fresh each day with organic ingredients. There is a good selection of hot & cold drinks to choose from including Fairtrade coffees & cappuccinos. The owners of the store/café have a strong ethical approach to business and actively support various schemes for the community and in local schools. 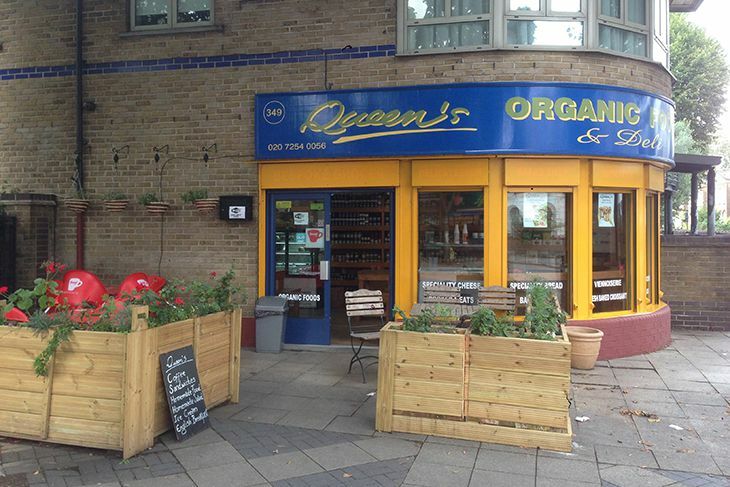 An organic food shop & deli on Queensbridge Road, Hackney. 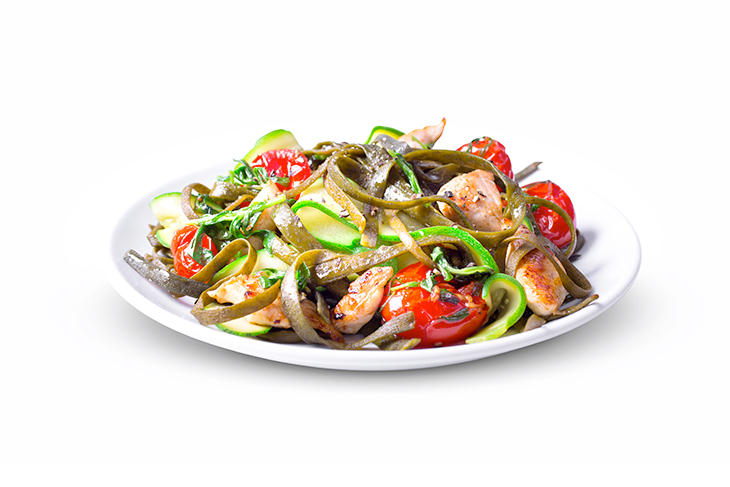 The deli offers a range of healthy organic food & drinks with gluten-free and wheat-free options, the store sells a variety of groceries with a wide range of organic & eco-friendly items. 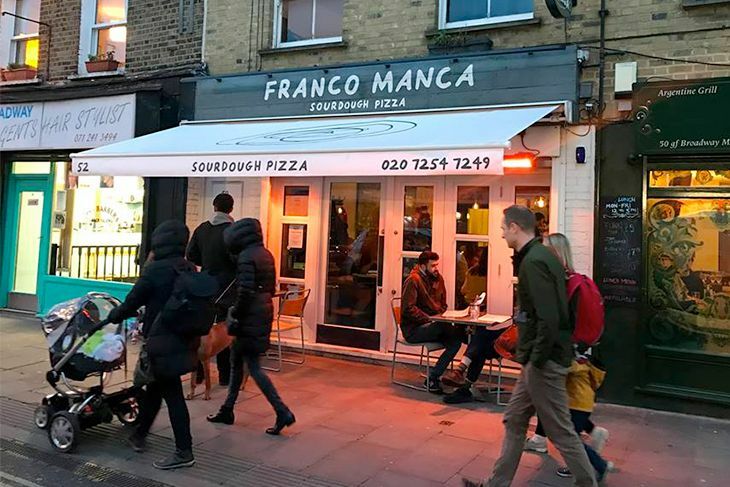 A sourdough pizza restaurant located at the busy shopping street, Broadway Market, Hackney. One of several things that sets this popular pizza place apart from others is their sourdough pizza base. The dough is left longer to levitate slowly before being given a blast of immense heat in the brick wood fired oven - made in Naples by a specialised artisan. This process allows the natural moisture & aroma of the flour to be locked in, which makes an excellent crust that is easier to digest and less likely to be discarded. The Pizzas at Franco Manca are first-rate! Made by hand with high quality fresh (mostly) organic ingredients, this is great tasting pizza with good & interesting combinations, a selection of vegetarian options and the choice of adding your favourite toppings as extra. There is a good selection of hot & cold drinks available including organic lemonade, coffee, cider, craft beers and an impressive selection of natural & organic wines. 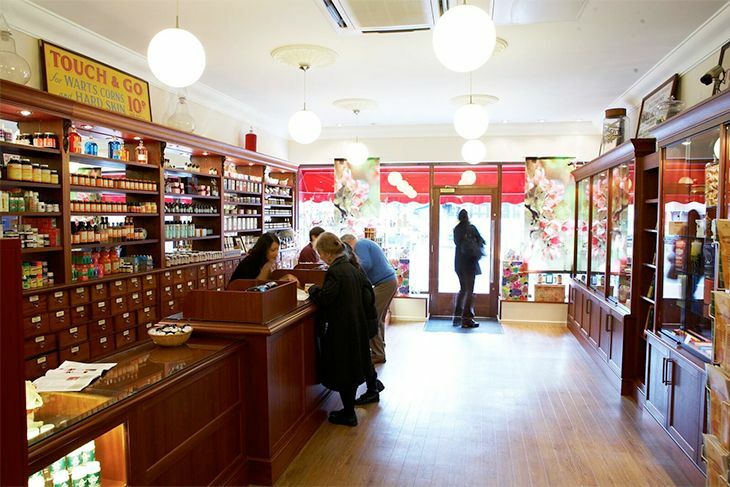 A Grocer’s shop located in Stoke Newington on the vibrant and bustling Stoke Newington High Street. 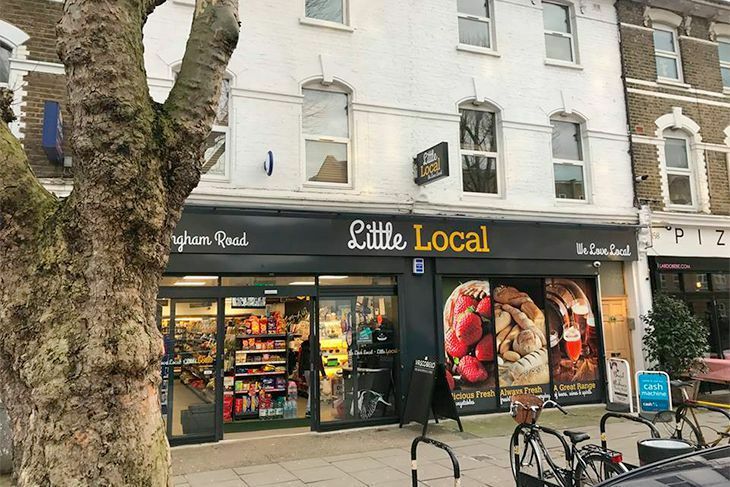 An ultra-modern convenience store set in an impressive building located on Brooksby’s Walk, Homerton. The building has an interesting past – it began its life as an independently operated cinema when it opened in 1913. At this time, it was known as The Castle Electric Theatre which subsequently became the Castle Cinema. 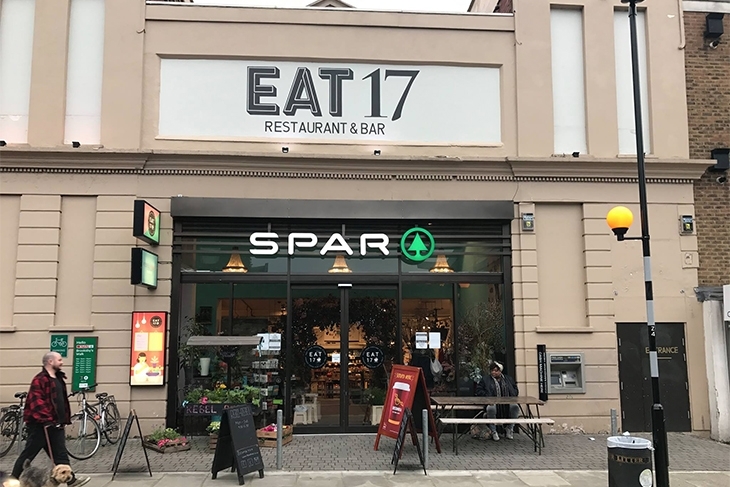 Almost 100 years later, Eat 17 Spar opened its doors to the people of Homerton, Hackney and beyond as a place to shop for their everyday items. 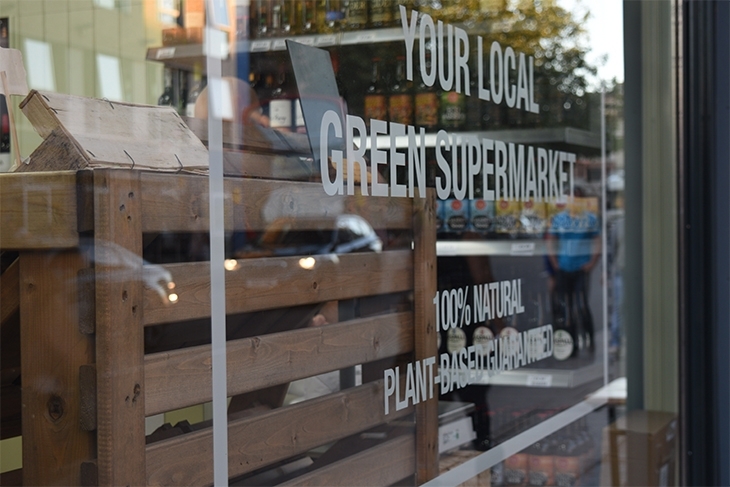 The store stocks an extensive range of grocery products and fresh produce, focusing on local, seasonal, natural and organic. 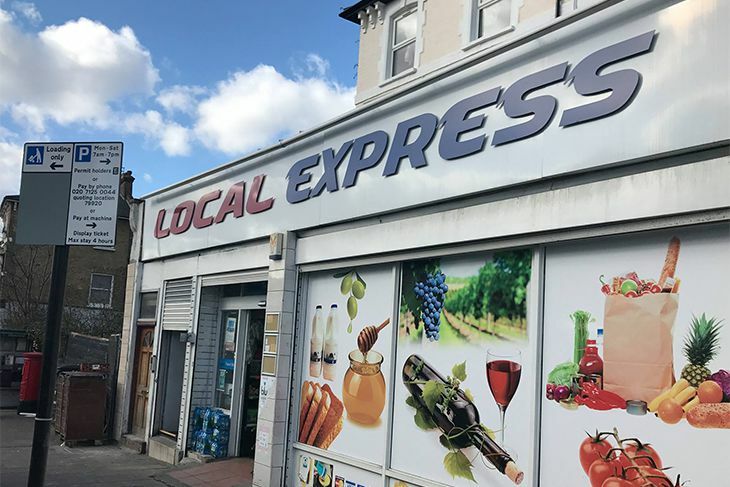 It is one of 2 independent family-run Spar's - the other is located in Walthamstow and was the first of the two to open. 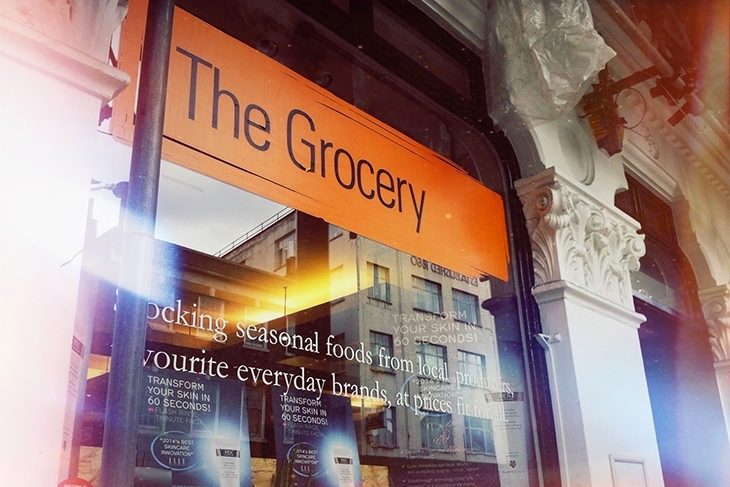 An independent grocery store conveniently located on Broadway Market, Hackney, East London. Sultan Food & Wine Centre has a wonderful, colourful and enticing arrangement of fresh fruit and vegetables displayed outside the shop, inside you will find an extensive range of beers, wines and spirits, and a wide range of grocery products and fresh produce with a good selection of organic items. This reliable store is open until 11pm every day and has an early opening time of 7am, making it an all-round great place to shop. An independent convenience store located at Green Lanes, Stoke Newington. 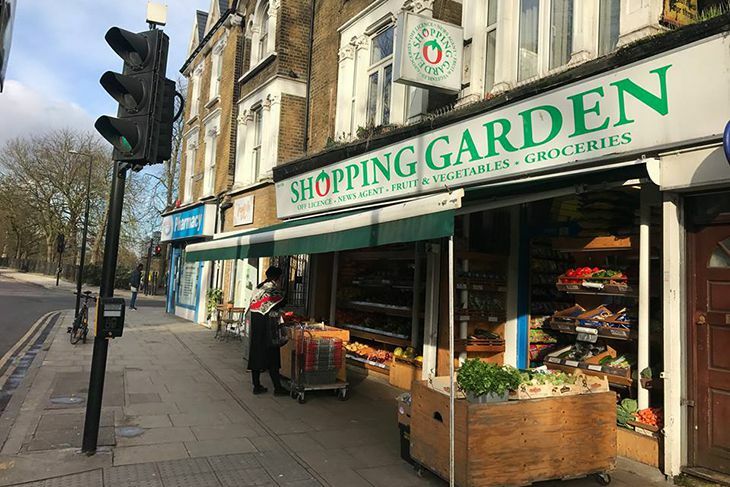 Shopping Garden is one of a host of shops, cafes, and other businesses that have taken up residence in Green Lanes over the years, the busy shopping street is popular with local residents and people from further afield. Shopping Garden offers a good range of organic and eco-friendly goods and a large selection of groceries & everyday essentials, a lovely variety of fresh fruit & vegetables is displayed at the front of the store and there is a wide range of beers, wines & spirits. 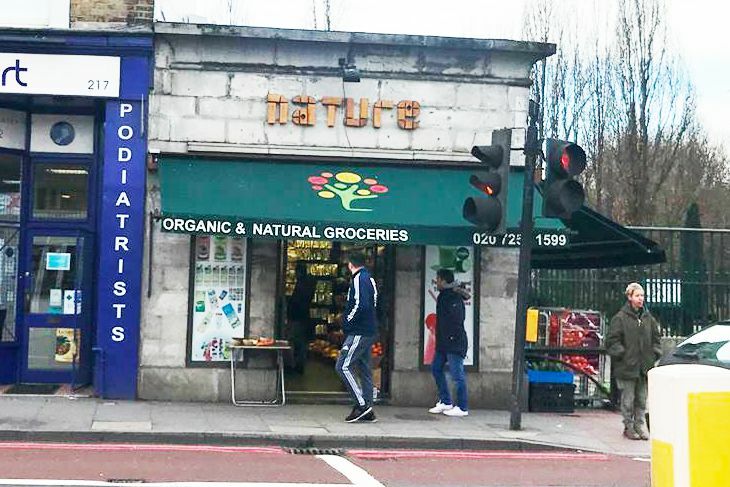 An independent store located at Green Lanes, Stoke Newington. Green LN Larder is fitted out in a style that is reminiscent of our much-loved local shops of yesteryear. The wicker baskets to carry your shopping around the store are much more appealing than the usual wire or plastic ones found in most shops, paper bags are provided for your fresh or dried produce, and wooden casks, barrels & baskets are an attractive way to display fruits, veg and other items. 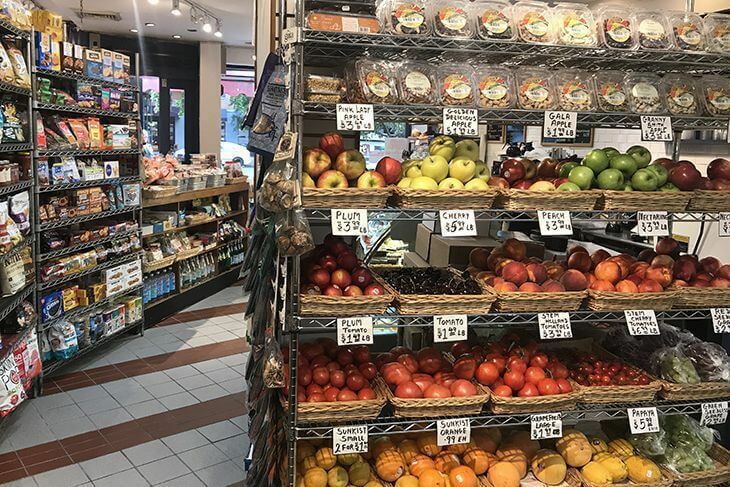 The store is well-stocked with the usual fresh, tinned, boxed and chilled groceries and it has a good selection of organic items such as milk alternatives, baby food, eggs and cereals, as well as many eco-friendly products, gluten-free products and vegetarian/vegan products. 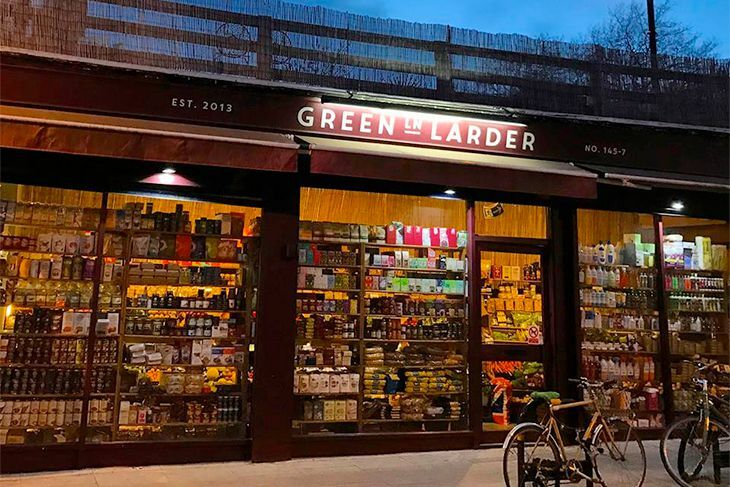 Green LN Larder is licensed and stocks a variety of craft beers, ciders and wines. 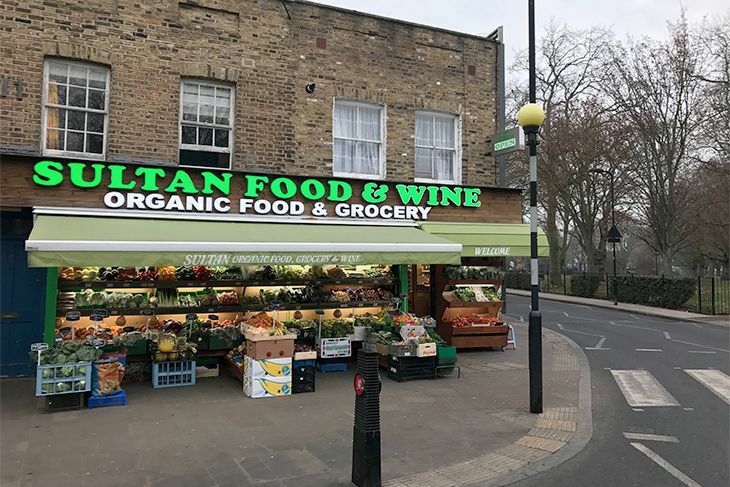 A large convenience store located at Lauriston Road, just a leisurely stroll from the historic and picturesque Victoria Park, Hackney. 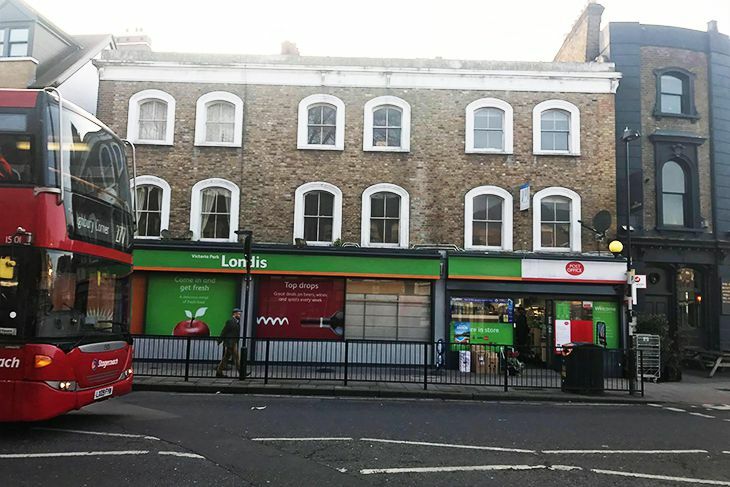 This is an independently-owned store, one of the Londis chain, it sells a wide variety of branded and own-brand everyday essentials. There are lots of products on offer with a good selection of organic and eco-friendly items. 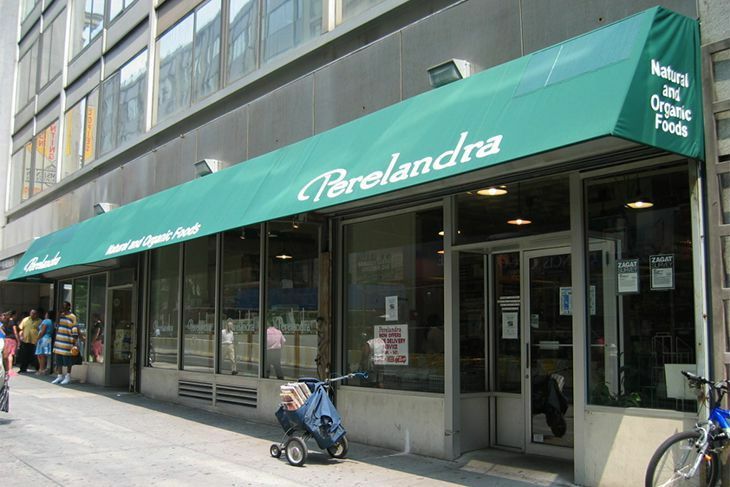 An in-store bakery makes delicious fresh bread daily and a Post Office provides mail-related services and various products. There are weekly deals and fantastic offers on various products in Londis Victoria Park, including foods, snacks, personal care products and beers, wines & spirits. An independent family-run convenience store located in Kingsland High Street opposite Kingsland shopping centre, Dalston. 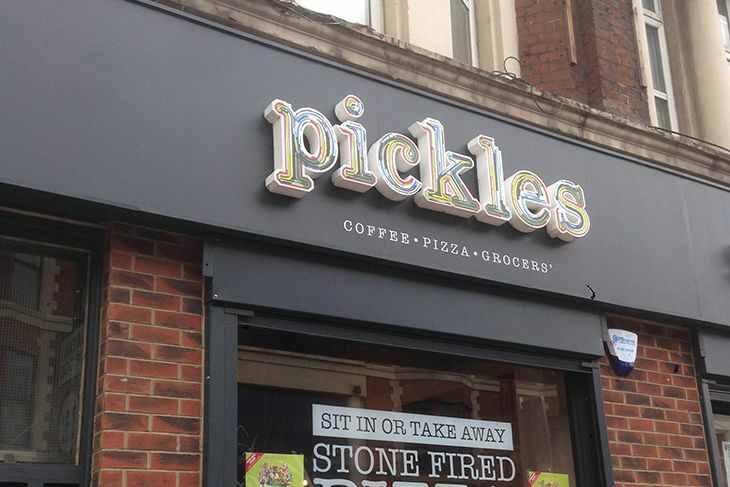 Pickles has its own coffee shop and a pizzeria downstairs where you can eat in or takeaway. The well-stocked store sells a wide range of everyday products and fresh produce and a selection of organic wine, beer, cocktails and groceries. A local independent convenience store located at Church Street, Stoke Newington – a shopping street with various shops, bars, cafes and small businesses. 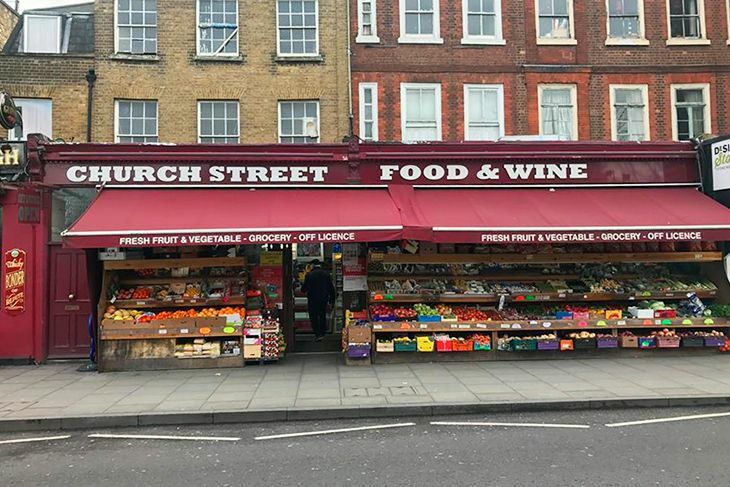 Church Street Food & Wine stocks a wide range of everyday basics like bread, milk, tea & coffee, and fresh produce including a colourful array of fresh fruit & veg, immaculately displayed at the shop front. 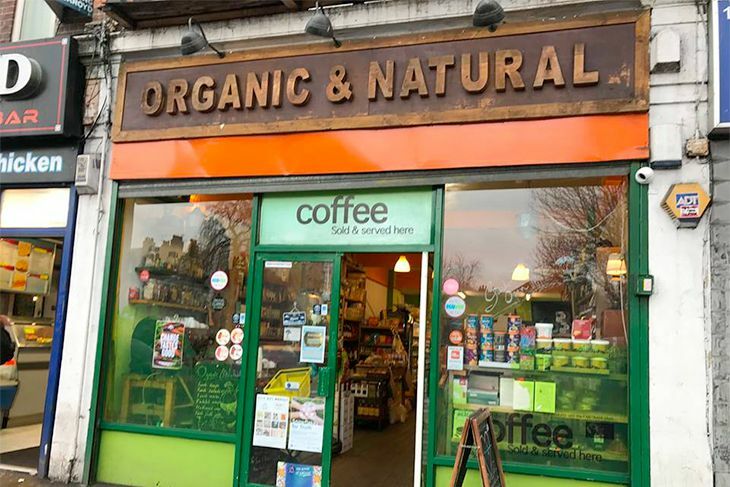 There is a good selection of organic, natural and eco-friendly items and the store is licensed so it is also a great place to pick up a bottle of your favourite tipple. Facebook post "Best health stores in New York"
Pineapples, an eco-friendly alternative to leather?